Created by Alex Hirsch. Layouts by Syre Street Books. Cover by James Silvani and Wes Bzioba. Head back to the Mystery Shack with Dipper and Mabel Pines and their great uncle, Grunkle Stan, for more adventures in the small town of Gravity Falls, Oregon. 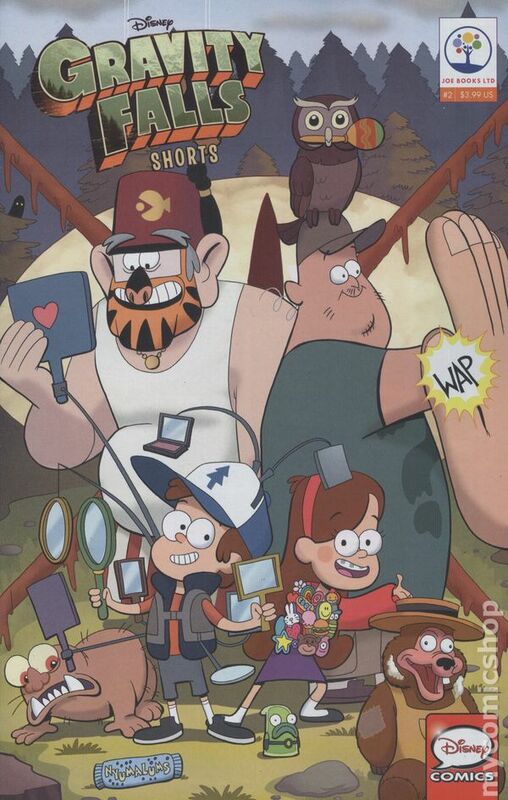 With brand new, original-art covers and graphic novel-style retellings of the hugely popular Disney Gravity Falls Shorts, this second installment of a brand-new comic series from Joe Books is sure to be a hit with fans of the Disney show. 28 pages, full color. Cover price $3.99.